1965 Pontiac Bonneville Limo - I am oddly attracted to this car. I'm not sure why. Maybe it's because I've never seen one before. The seller says this was built by Superior Coach Corp. According to to a recent Curbside Classic article about a similar limo, it may be 1 of just 10 built. This is more than just a stretch job, it also has a raised ambulance / hearse like roof. The seller says this car has its original 389 V8 in it. It looks to be in remarkably good shape. 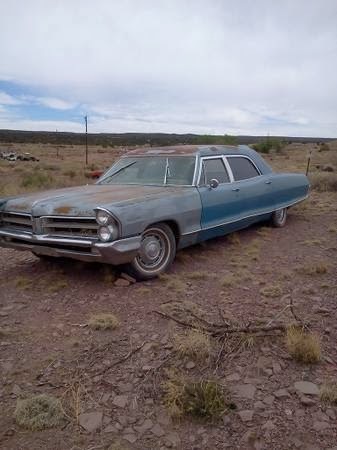 The seller says it has a little bit of rust in the trunk and on the front fenders. You could patch the trunk, and given that everything in front of the B-Pillars is standard Pontiac Bonneville, find fenders on the internet. The ad has just 3 pictures and the seller seems unwilling to take more (!!). He says if you're interested "you'll have to go look at it." Given how rare and unique this car is, that's a pretty foolish stance to take. 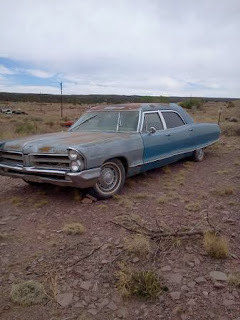 Located in Prewitt, NM, click here to see the Craigslist ad. 1986 Trabant P601 - You could consider this East Germany's VW Beetle. Like the old Beetle, it's simple, economical, and fairly reliable. 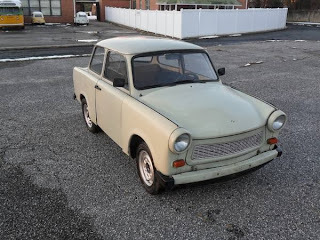 Also like an old Beetle, once you figure out its nuances, the Trabi can be fairly entertaining to drive. Slow and uncomfortable, but entertaining. Located in White Hall, MD, click here to see the eBay listing. 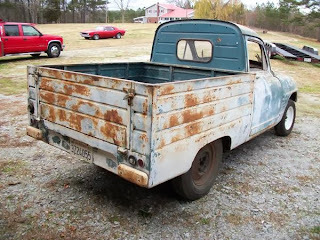 1958 Simca Pick Up Truck - There's not much left to this vehicle, but, the body is restorable. 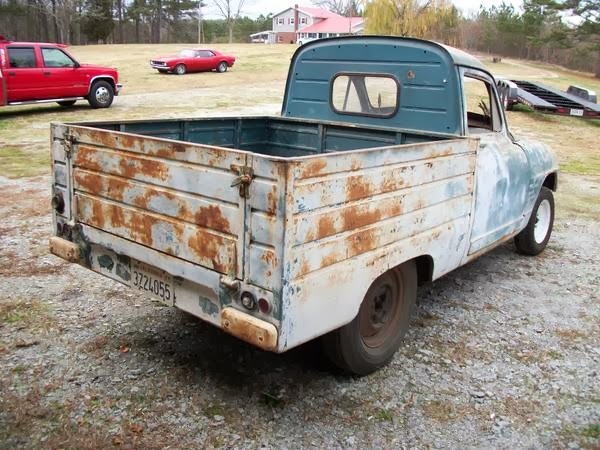 Located in Carrollton, GA, click here to see the Craigslist ad. A big thanks to Jon for sending me the links to these cars! I'm a zip on down and take a gander at that Pontiac this morning; it's only about 1800 miles away. (or maybe not). That Simca would make a killer hotrod but where would ya' get a windshield for it?